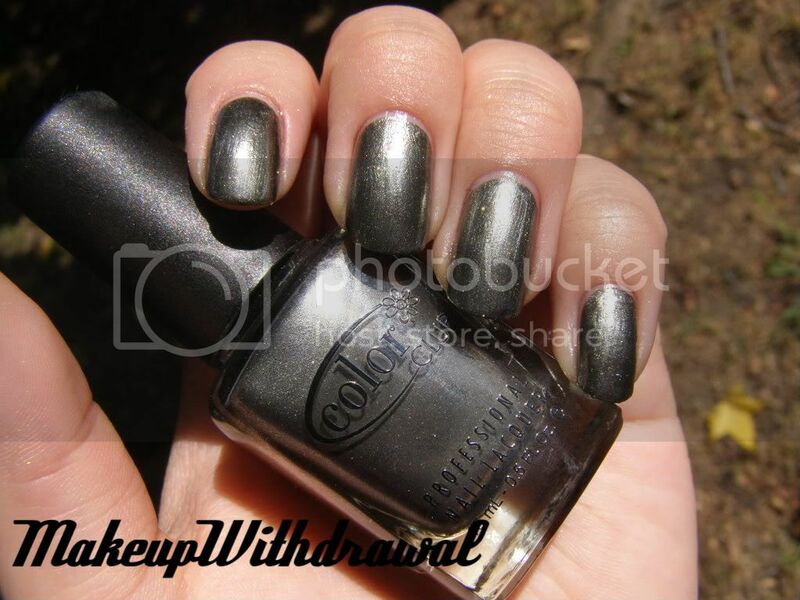 Here's another polish from Color Club's fall collection! This one is called Snakeskin. It's a dark frost, metallic grey-green with gold shimmer bits. It's interesting and unique but I didn't find it flattering on my fingers. 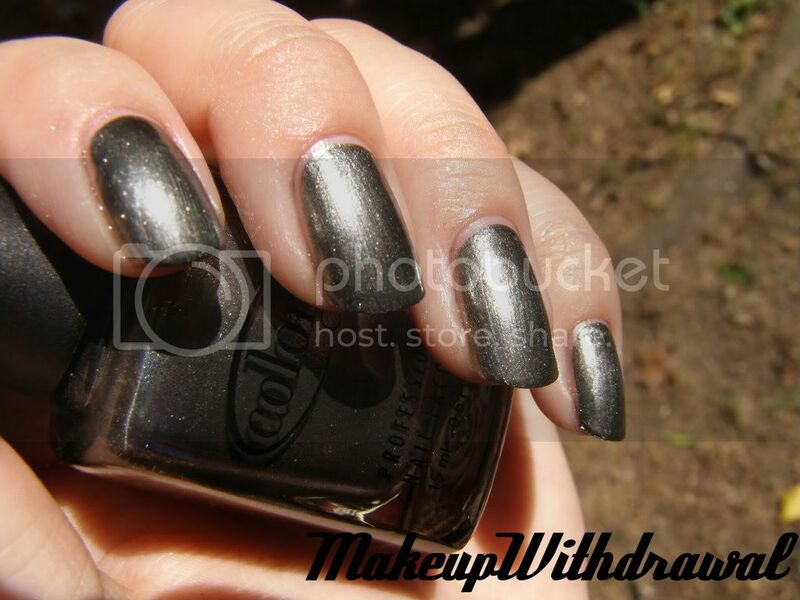 The consistency is nice, as it the application- just one of those polishes that isn't "me". I admit, I mainly purchased it because of the name- I have an eyeshadow from Rock & Republic also called 'Snakeskin' and I loved it so much, I automatically assumed I'd like this totally unrelated nail lacquer as well. Silly me. Item featured was purchased by me, for my own use.